Avaaz - Internet privacy under attack! Days to act! Internet privacy under attack! Days to act! We need to balance our national security with our right to privacy, but the Attorney General’s proposal goes way overboard. Catching crooks online shouldn't require prying into years of everyone's private lives and making our online accounts more vulnerable to an attack by criminal hackers and identity thieves. Please don't allow the Attorney General's proposal to become law. E-banking files? They want those. Email passwords? Definitely want those. Cell phone records? Hand ‘em over! Yes, it sounds insane but the Attorney General wants access to the phone and Internet data of every Australian going back two years. In the next few days, we can derail this unprecedented power grab before it becomes law. 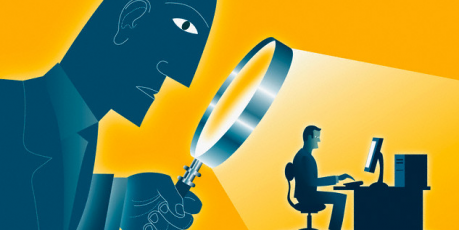 If the proposed reforms pass, the government will have broad powers to spy on anyone's private lives, including investigative journalists, or activists like many of us. But leaders from both parties say they want to hear from the public before making a decision about the plan -- let's flood them with objections before the consultation process closes in just three weeks and prevent this outrageous threat to our privacy from getting a rubber-stamp from Parliament. We know we can make a difference if each one of us spreads the word. Last spring, when thousands of us shared a petition to a government inquiry via email and Facebook, we won recommendations for an independent media regulator. Let's win again by sharing this petition to defend our privacy online! We don't have much time left -- sign the petition and then share it with everyone by using tools on the page -- once the petition reaches 100,000 signers we'll hire lawyers to defend our case before an upcoming parliamentary hearing.